The board of advisors of the Graham County Community Foundation hosted 2016 grantee Hospice House Foundation of Western North Carolina at a recent meeting. Hospice House is expanding their services, specifically the Hospice House in Franklin serving Jackson, Macon, Swain, Graham, Clay and Cherokee counties. 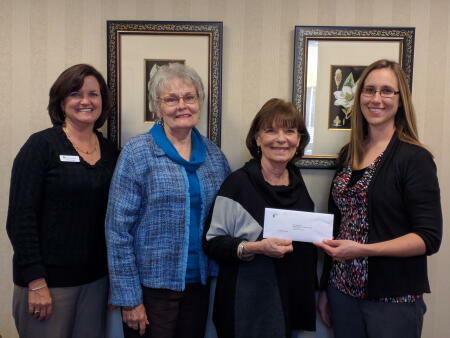 Picture here (left to right) are: Yvette Carringer, GCCF board member; Sara Stevens and Michele Alderson, Hospice House Foundation board members; and Carla Icenhower, GCCF board president.